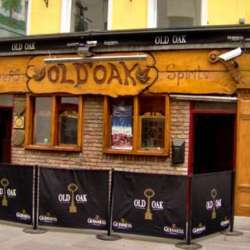 The next InterNations Cork event will be at the Old Oak, Cork. Don't miss this great opportunity to meet other InterNationals, welcome new members and have a lot of fun! We’ve never believed in a ‘one size fits all’ for the amazing diversity around the globe. That’s why we ensured that each of you has the freedom to come as you are, with your friends and relatives: please invite them to sign up if interested. Please click the "Accept Invitation" button to register. As we can't predict where we will have some tables, newcomers should RSVP so that we can send out a contact mobile number. Your InterNations Cork Ambassadors are looking forward to welcoming you!